It’s amazing what you can find online these days. Everything from goofy videos of people’s most embarrassing moments to old documents or books long thought lost forever. If nothing else, the Internet has been a great way for certain kinds of media to see a revival that perhaps was thought impossible before. Of course, there’s always the matter of how this stuff wound up online in the first place. Digital media software has been able to compress video and audio material to the size of electrons and then upload it the Net. Celluloid photography morphed into digital imaging and it, too, could be pulled up online. But then there’s written content. It’s one thing to process some paragraphs into a document file, but how on Earth does it get online, complete with those fancy colors, links, and other media? The answer is with an online editing software program. If you study web site design, you are required to have one of these programs, and if you work in digital publishing, it’s a must for every work station. But online marketers and business professionals can access them, too, in order to control how, where, and when their material appears on their web site. When scouting around for an online editing program, you have to consider a few important variables. First off is the markup language it uses. Back in the infancy days of online production, the best program making use ofMeta tags was HTML. This is still valid and works perfectly for online interfaces. But it’s a bit slow and takes a while to get published online. A more contemporary form of Meta tags is XML, the industry standard for online publishing. You can create new web pages on the fly and update at lightning speeds. There are other markup languages for these purposes—.Net, XSL, etc. Those littleMeta tags that you hang around your online content are important for whatever type of business you are doing, so pick an online editing program that suits your needs and the speed at which you need to get things done. A good online editing program also has a “parsing” function. When you hit this button after adding and tagging your new content, it tells you where the errors in your tagging have occurred. This is particularly important with link building, as tags are ultra-sensitive regarding what symbols you put in for link tags, how they are spaced, etc. If you don’t have a parsing tool, your material might not appear online and your links won’t work, effectively killing whatever interlinking system you have going. Parsing is a key tool for online editors. It should be part of your online editing program to ensure quality is met at all times. If the online editing program is good, it can also find and replace material like a document program would as well. Say you are searching out old competitive keywords or replacing long-tail keywords in your content. A good online editing program can do a find-and-replace for your material, making corrections quick and easy for you. Some online editing programs are old and a bit clunky with only the most basic of functions. This leaves a lot of the hard work on your plate, whereby you have to manually ensure everything is working correctly. This can be tough and you no doubt have enough responsibility already. A good online editing program has the most up-to-date functions to actually fix your material when you need it to be fixed. It allows you more speed so you can keep on top of everything at once. Finding a good online editing program takes searching software retailers and professional suppliers. Be leery of downloadable programs that are not legit, as they might not work properly and you might be infringing on some well-guarded, copyrighted material. Find a good solid one that a publisher might use and one with easy functions that you can use easily. Getting your material to look great online requires a good editing program, so finding the right one for you makes your presence online truly significant. 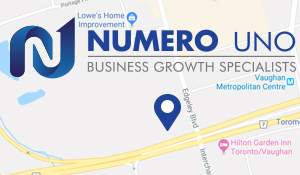 Numero Uno Web Solutions is a search engine optimization (SEO) company in Toronto for startup and small companies from all industries and fields. To get more help on all your SEO, web site design, and Web traffic needs, e-mail Numero Uno Web Solutions Inc. at info@numerounoweb.com.